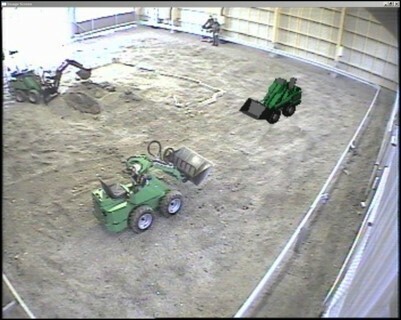 The target was to build an infrastructure and test machines for the future autonomous worksite research. The GIM testbed is situated at Tampere University of Technology. The worksite includes outdoor test field and 20mx20m test hall equipped with state-of-the-art communication and positioning devices. For full-scale testing several work machines of different sizes are available. The machines can be operated manually, remotely or autonomously. GIM simulator is a digital copy of test machines and it can be used for test planning and analyzing.